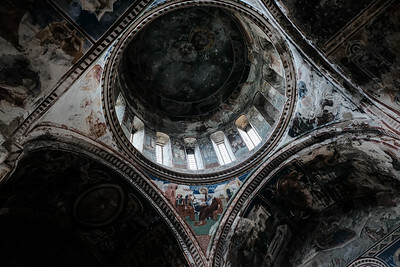 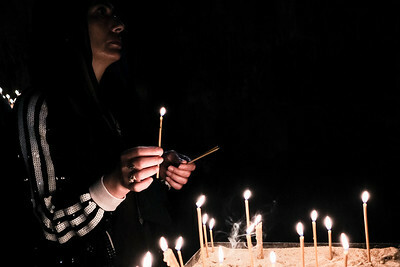 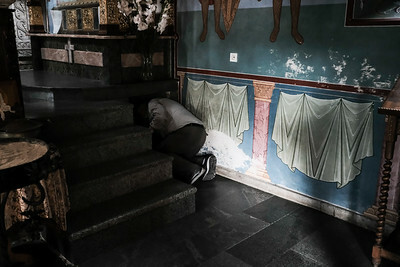 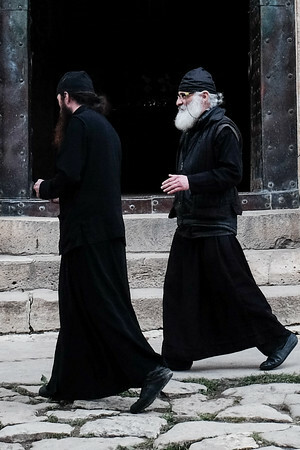 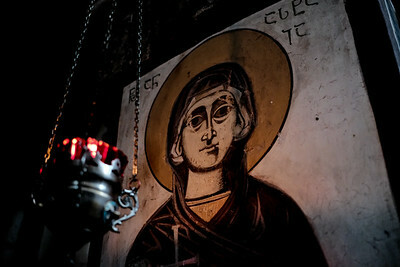 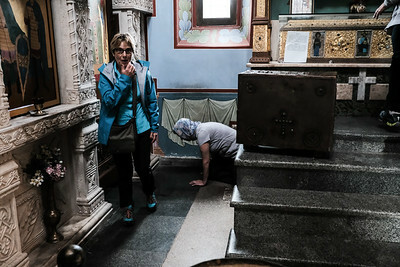 Believers crawl under the church alter in the 8th century Georgian Orthodox Motsameta Monastery which serves as the final resting place of brothers, national heroes and saints Davit and Konstantin Mkheidze, dukes of Argveti, killed in an 8th century Arab massacre. 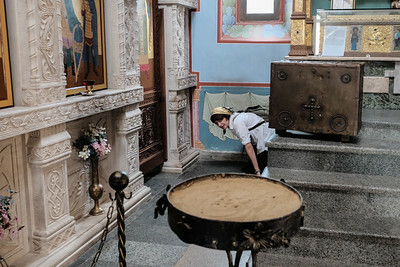 Their skulls are believed to be in a casket in the church and tradition guarantees wishes will be granted if you crawl three times under their tomb in the church without touching it. 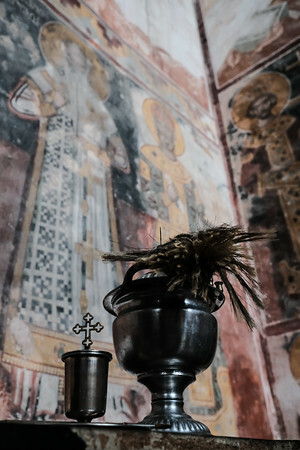 Faithfull Orthodox Christians worship in the Jvari Monastery Church of the Holy Cross, overlooking the town of Mtskheta. 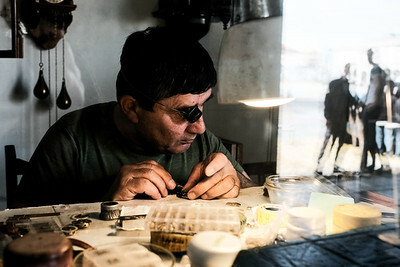 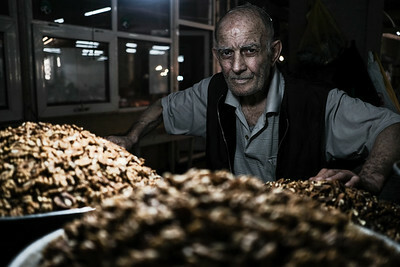 A watchmaker repairs a watch in Kutaisi, Georgia. 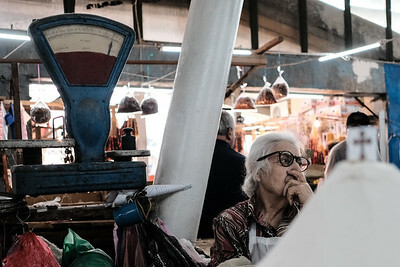 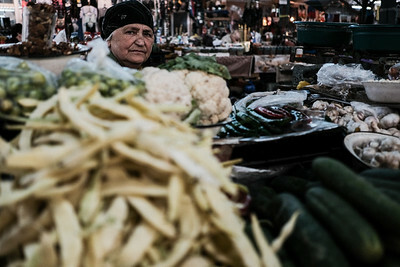 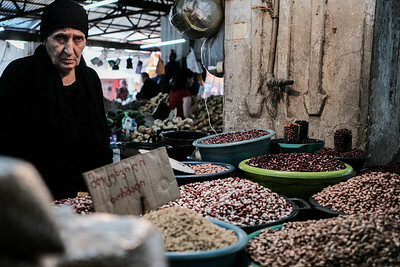 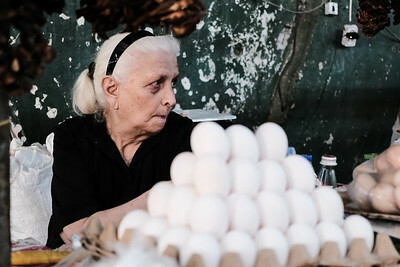 Shopkeepers sell their merchandise in the Kutaisi Bazaar, Georgia. 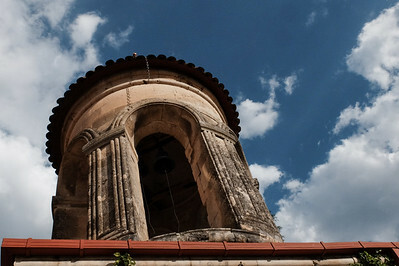 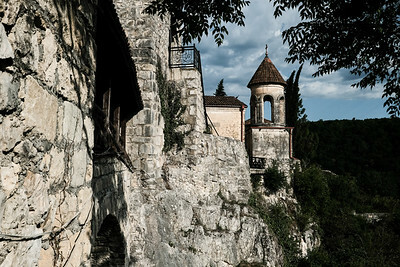 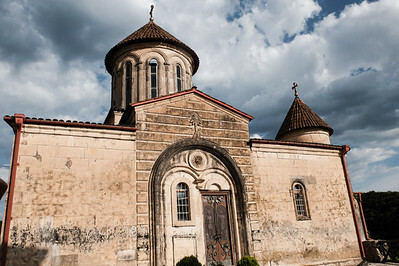 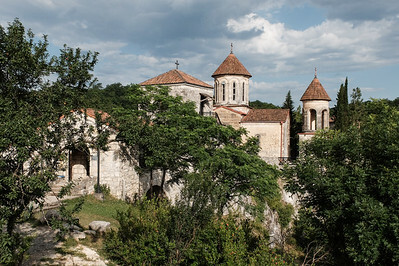 The Gelati Monastery is a medieval monastic complex near Kutaisi, founded in 1106 by King David IV of Georgia and is recognized by UNESCO as a World Heritage Site. 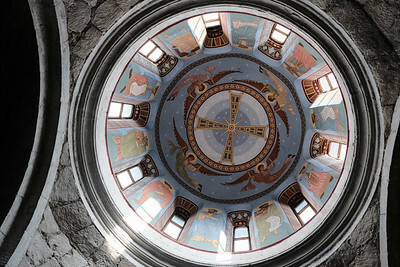 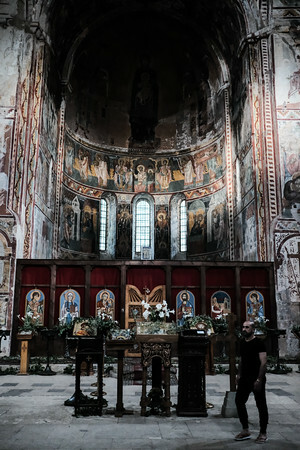 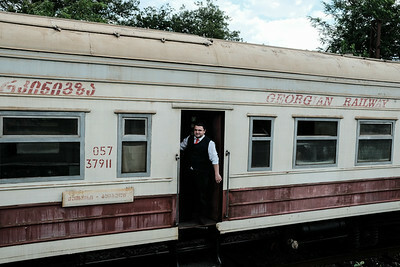 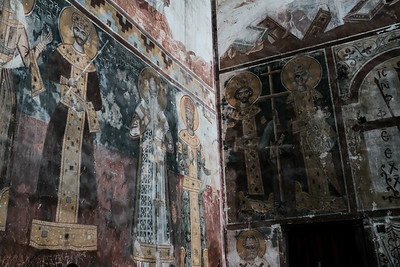 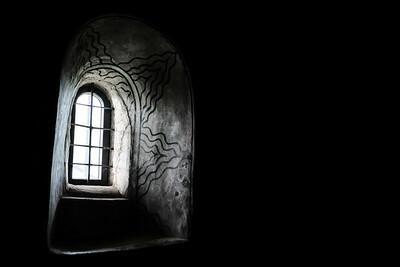 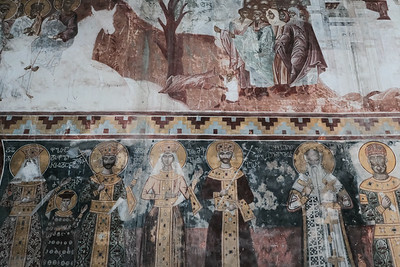 It has preserved a great number of murals and manuscripts dating back to the 12th to 17th centuries and is the burial site of its founder and one of the greatest Georgian kings David IV. 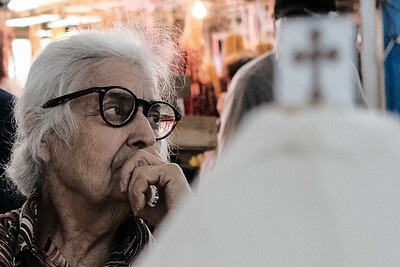 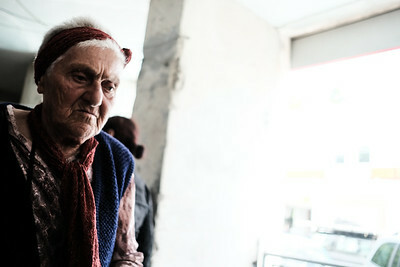 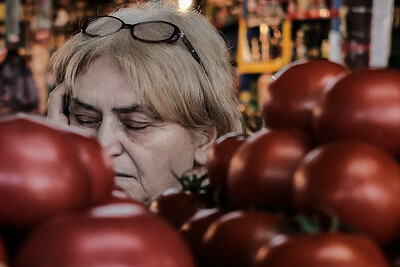 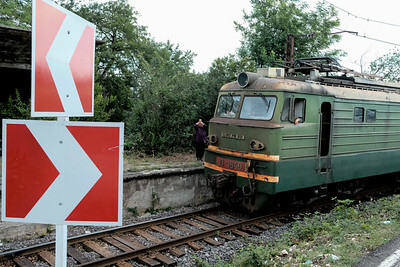 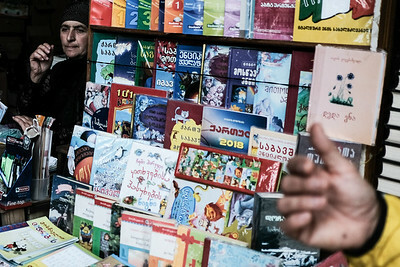 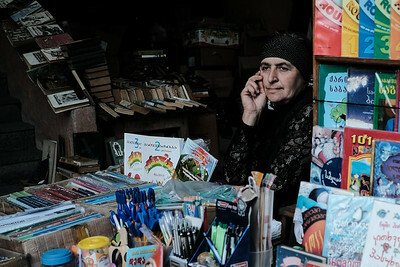 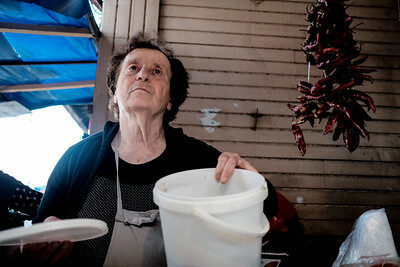 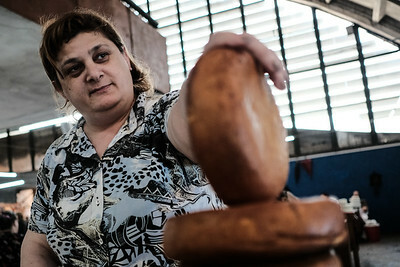 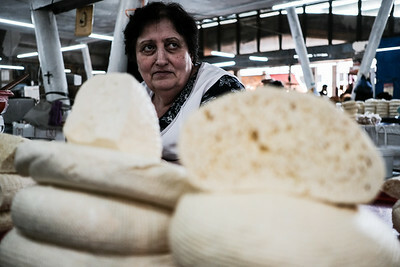 A woman sells books at an outdoor stand in Kutaisi, Georgia. 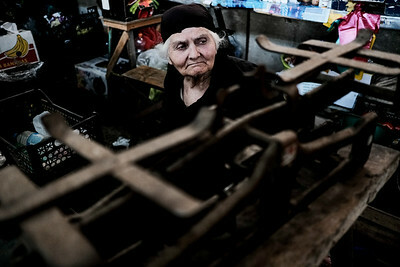 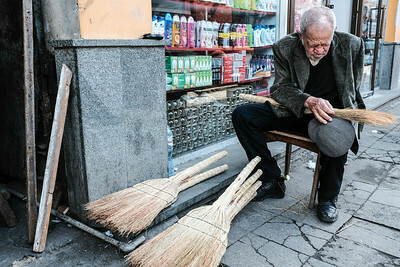 A one armed elderly man makes brooms at the Kutaisi Bazaar, Georgia. 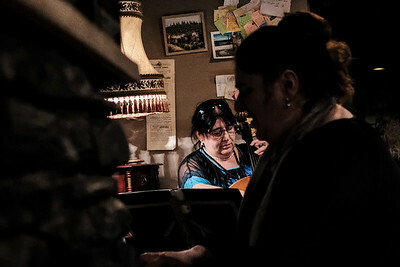 Musicians entertain diners at a restaurant in Kutaisi. 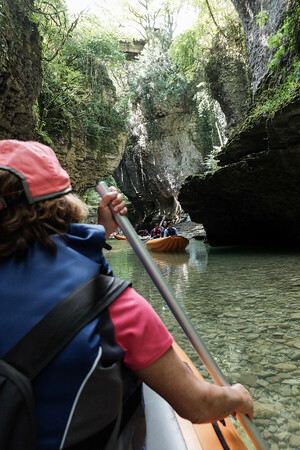 Visitors row in rafts in Martvili Canyon.